Bharat is a Certified Practicing Marketer and Associate Member of Australian Marketing Institute. He holds a Professional Membership of Canadian Institute of Marketing with PG Diploma in Business Management (International Marketing). With over 12 years in Marketing in roles such as International Marketing Director, Regional Marketing Director and Sr. Manager – Marketing, Bharat brings a wealth of knowledge in marketing, stakeholder relationship management, and project management. Having worked in various countries with different cultures, he understands the importance of building business through professional relationships, integrity, customer service and going the extra mile. Bharat currently holds the position as Director International Marketing at Aspire2 Group. Aspire2 Group Limited comprises five New Zealand-based private tertiary education and training groups made up of twelve high-quality Private Training Establishments. We provide education and vocational training to almost 7,000 domestic, international and business to business students each year. 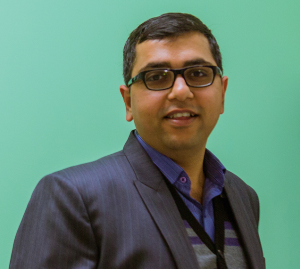 Bharat was born in India and has been working in the New Zealand Education Sector since in 2009.